DUBAI, 6th November, 2018 (WAM) -- Crown Prince of Dubai, Chairman of The Executive Council and Chairman of the Board of Trustees of the Dubai Future Foundation, H.H. Sheikh Hamdan bin Mohammed bin Rashid Al Maktoum, has affirmed the importance of empowering and equipping Arab youth with technological tools and expertise to prepare them for the challenges of the future, "a goal that His Highness Sheikh Mohammed bin Rashid Al Maktoum, the Vice President, Prime Minister and Ruler of Dubai, emphasised as part of Dubai’s vision of becoming a magnet for innovation and entrepreneurship." 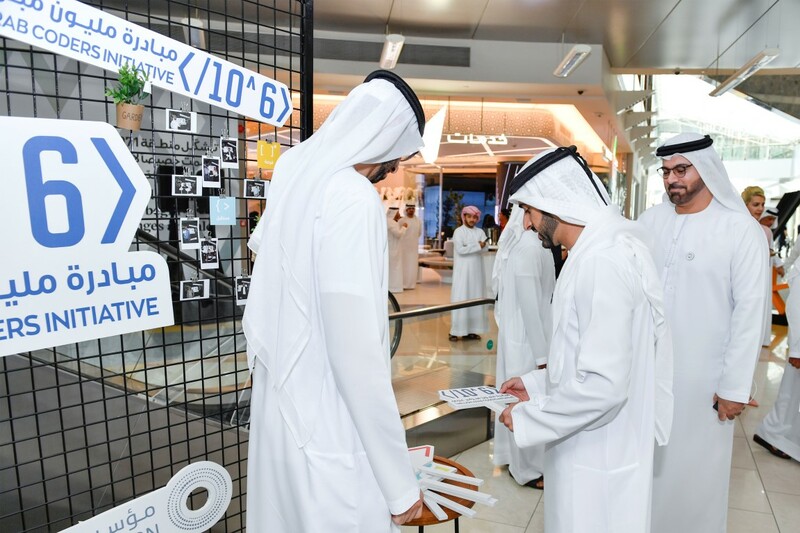 Sheikh Hamdan’s remarks came during a visit to AREA 2071 at Emirates Towers, where the Dubai Future Foundation held an open day event to help graduates of the ‘One Million Arab Coders’ initiative find jobs. Sheikh Hamdan stressed the importance of translating initiatives into opportunities to help advance human capabilities, which are central to community development. In this context, the ‘One Million Arab Coders’ initiative sets an example in advancing investments in human capital by giving the youth a chance to learn the language of the future. Accompanying Sheikh Hamdan bin Mohammed on his visit were Minister of Cabinet Affairs and the Future and Vice Chairman of the Board of Trustees and Managing Director of Dubai Future Foundation Mohammed Abdullah Al Gergawi; Minister of State for Artificial Intelligence and Deputy Managing Director of Dubai Future Foundation Omar bin Sultan Al Olama; Secretary General of The Executive Council of Dubai, Abdullah Mohammed Al Basti; and Chief Executive Officer of the Dubai Future Foundation, Khalfan Belhoul. 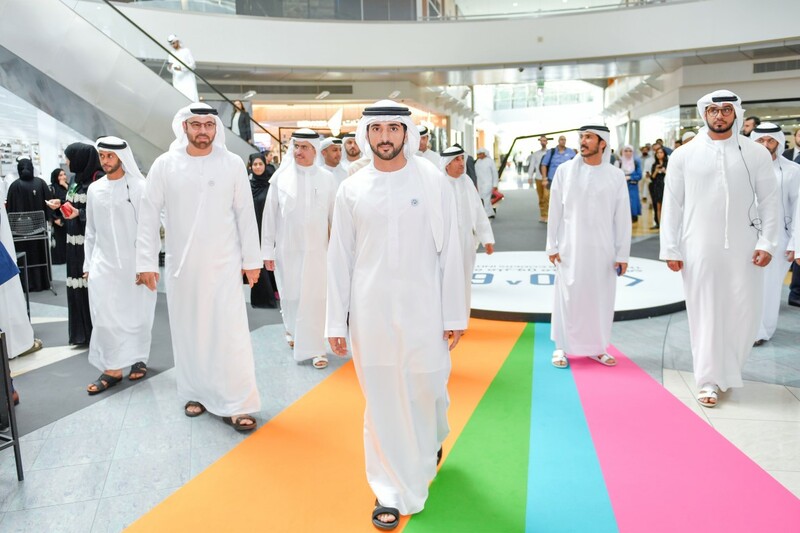 During his visit, Sheikh Hamdan met with a group of Arab programmers who were honoured by His Highness Sheikh Mohammed bin Rashid Al Maktoum at the annual graduation ceremony of the ‘One Million Arab Coders’ initiative. He praised the active participation of government and private entities in the open day held at AREA 2071 by providing job opportunities in programming, IT, and data management. The ‘One Million Arab Coders’ is an initiative under the umbrella of the Mohammed Bin Rashid Al Maktoum Global Initiatives that seeks to train one million young Arabs in computer programming, in order to empower and equip them with the technological tools and expertise required to face the challenges of the future.